It all happened in a flash. In 1964, aged 14, Emilio Castillo took up the tenor saxophone. 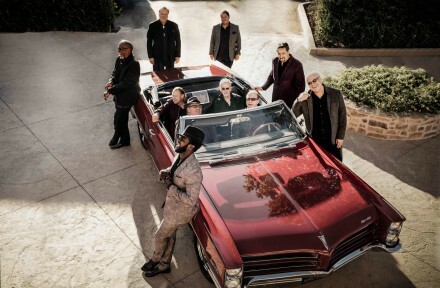 Just four years later, when San Francisco was better known for turning hippy hair into flower-arrangements, he formed Tower of Power, the band that has remained a benchmark for super-funky soul for 51 years. Tower of Power. Photos: Anna Webber. The band’s signature punchy horns have been hired by a gamut of pop/rock/R&B acts that stretches from Little Feat to Elton John, Santana, Huey Lewis, Neil Diamond and P Diddy. The reason, as Castillo points out, is that “it’s a five-piece horn section that plays like one person”.